The beautiful seaside town of Noosa Heads is renowned for its pristine beaches, natural bushland and rolling hinterland, making the area ideal for the active individual. Every October/November, the region hosts the world famous Noosa Triathlon and Multisport Festival, which showcases the beautiful surrounds of the area to thousands. For those who want to participate, train and race in the unique sport of triathlon year round, the Noosa Tri Club provides opportunities to do so in a fun, safe and supportive environment. 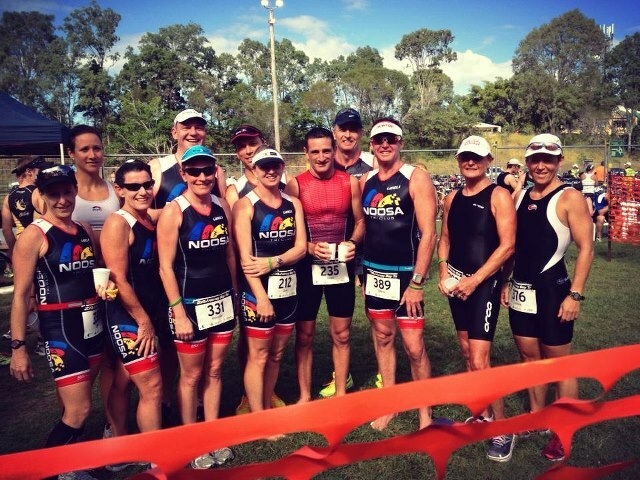 Noosa Tri Club is always looking for new members, of every standard of fitness & experience. If you or anyone you know has an interest in taking part in the most exciting, healthiest & fastest growing sport in the world please JOIN US or GET IN CONTACT! The aim of the Noosa Tri Club is simple: to introduce local people of all ages, abilities and experience levels to the sports of swimming, riding and running, and combing all three disciplines in a triathlon. Run by a committee made up of volunteer members, the club hosts monthly club events and regular, family-friendly social occasions. With several experienced coaches as part of the club, training sessions are run every week for all ability levels. There is literally something for everyone at the Noosa Tri Club! Don't hibernate just 'cause the waters a little chilly, our Duathlon training event will help keep the cool month kilo's off!! Leave your togs at home for this run, bike, run format TA current members only. Multi-Loop to refine your transition - don't waste valuable time fumbling through T1 & T2, this training event is a great skills builder.